ACQUO Broadway is a water resistant and stylish rubber boot. Wear these ones with you best summer dress for a cute and stylish look. The lower heel makes it a simple but fashionable boot for a everyday use. Water resistant overknee boot for a classy look and dry wear on rainy days. 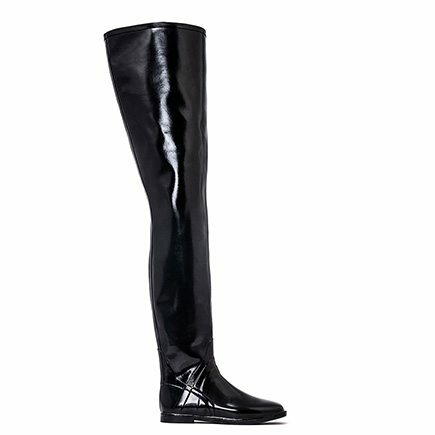 Comfortable semi glossy low heeled thigh high rubber boot! Don’t know what size to choose? Have a look at our Size guide to find out. 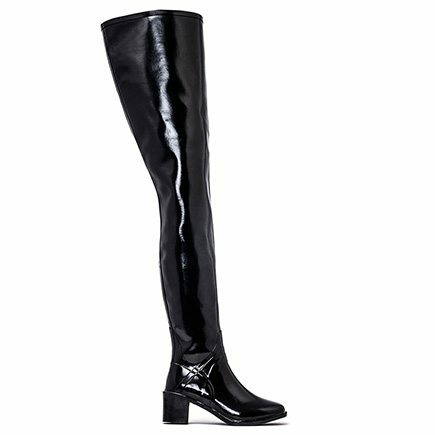 ACQUO Broadway is a semi-glossy thigh high rubber boot with a comfortable heel of 1,5 cm. 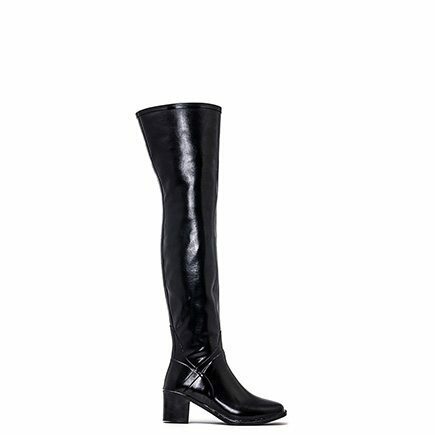 The perfect overknee boot with the lower comfortable heel of 1,5 cm for a everyday wear. The boot is made of natural soft rubber and you can choose between the sizes 37-46. 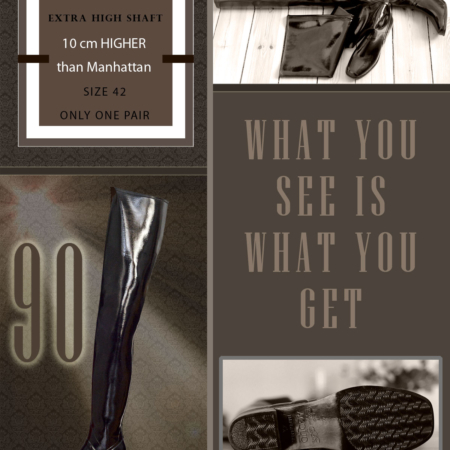 This is a classy rubber boot and if you don’t know what size to choose, take a look att our size guide. Can’t decide which boot to choose? Why not order two of your favourites for different occasions? Have a look at all our ACQUO boots to find your favourites! ACQUO boots are slightly long in the foot part in the bigger sizes (42-46) choose one smaller size than you normally wear if you have slim feet and legs. They are not wide in the foot, but long in the toe. Can’t wait to get my Broadway later on today. Maybe,we should share some photos? Just a quick rate from my side. First of all I need to put a great big thanks to Jessica for her way of running her business. She was there to answer my questions and made sure that my Broadway boots were at the hotel in Amsterdam when I got there. I give this service 5 out of 5. Now to the boots. I am a 44 and with the support from Jessica I did go for a 44 but put the extra sole in that was with boots and they fit perfectly. The quality of the rubber is fantastic. Very soft and easy to put on and to take off again. All in all everything I hoped for. Yes, confirm, this boots is perfect for ALL gender, MALE and Female! When wear this boot i’m in heaven! 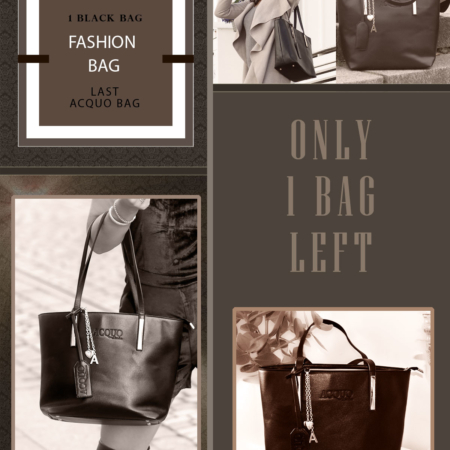 Recommend to update the line with 90cm boots or a long opera gloves!